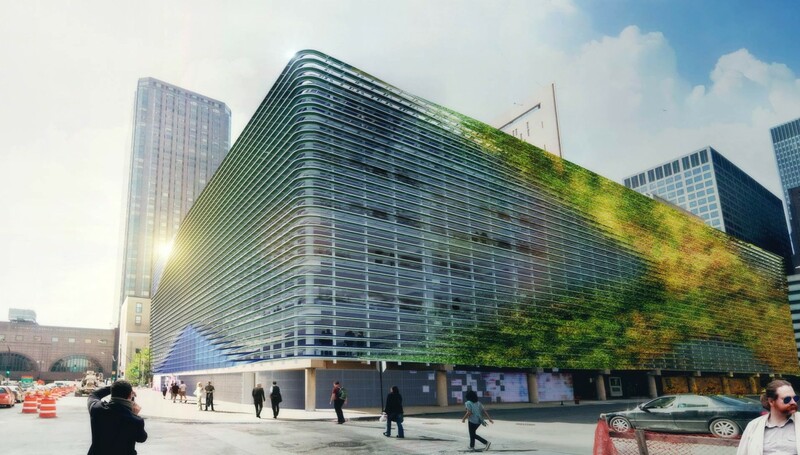 The project goals were to integrate into the existing parking structure a system of energy capturing systems for powering a fleet of government cars and to serve as an additional energy source for the parking structure and adjacent MCC. 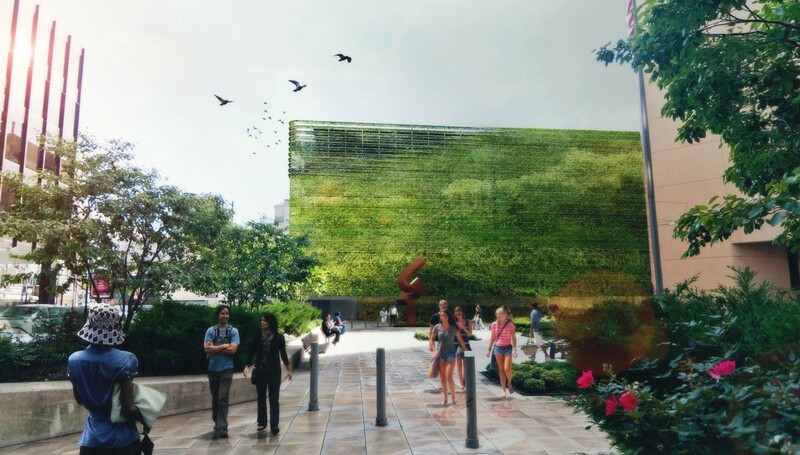 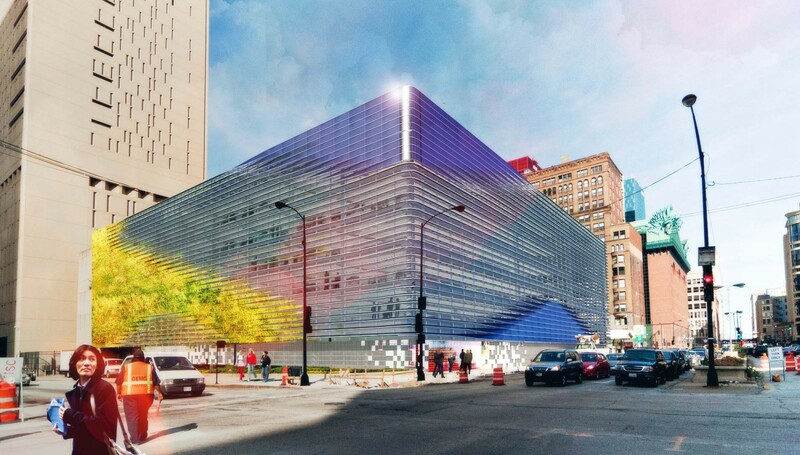 In addition to providing a new power source, this project represents the opportunity to transform the existing building, which is not necessarily of architectural merit, into a showcase for green technologies that responds to the design excellence of its surroundings. 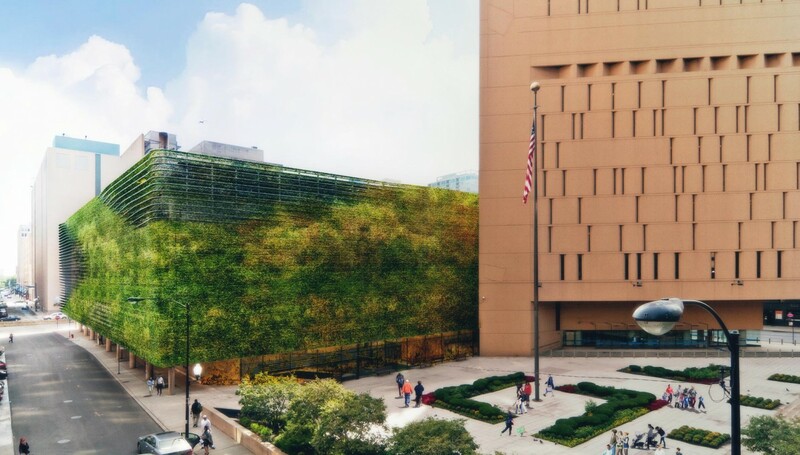 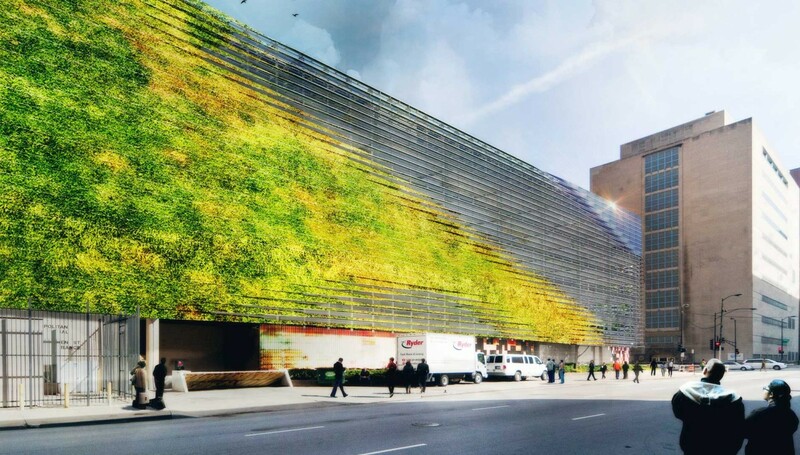 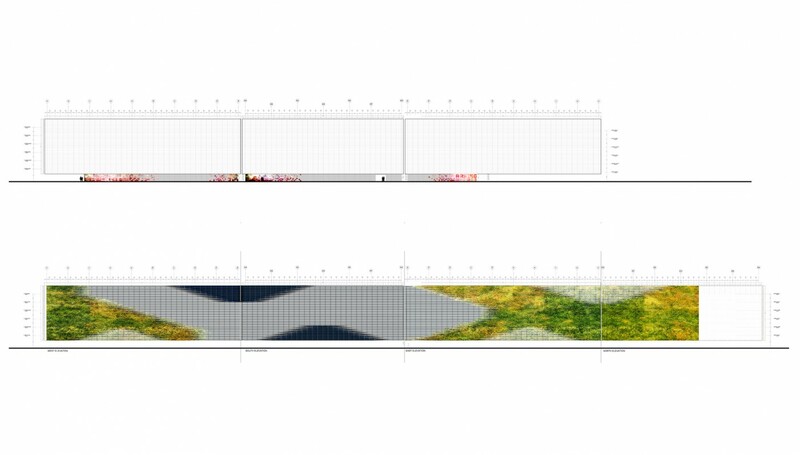 The proposed architectural solution wraps the existing facility with a continuous structural system that holds both PV panels and vegetated trays in a series of horizontal bands. 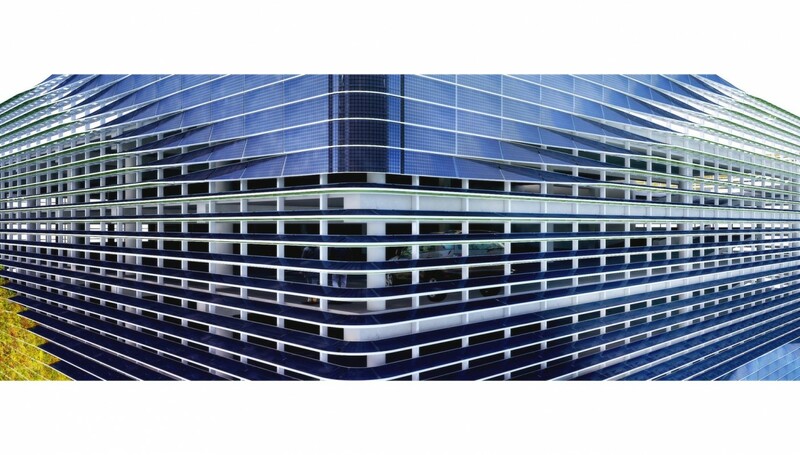 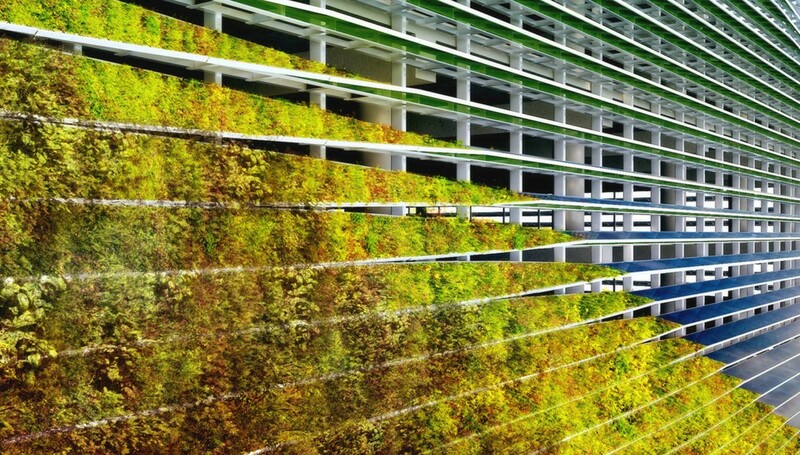 The PV arrays are applied to the facades that receive maximum sunlight, while the vegetated trays are applied to the balance of the building in order to bring environmental and acoustic benefit to the immediate surroundings. 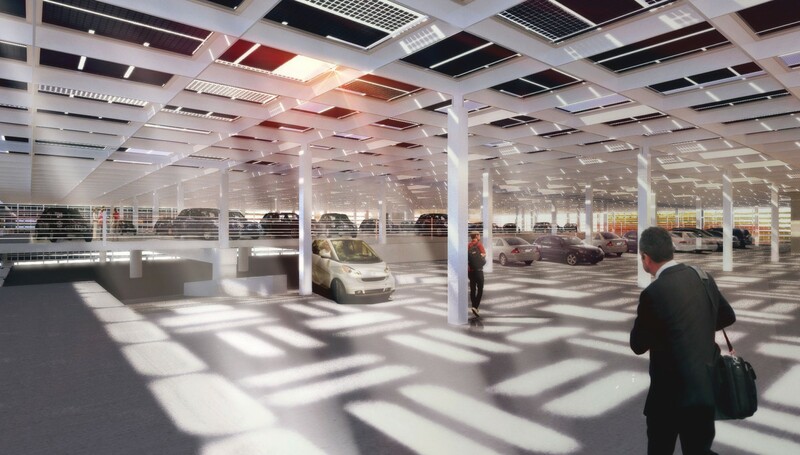 The roof of the facility, which holds the most potential for solar energy capture, has been envisioned as a continuous rigid PV panel array that mixes high-efficiency solid and medium efficiency translucent PV panels. 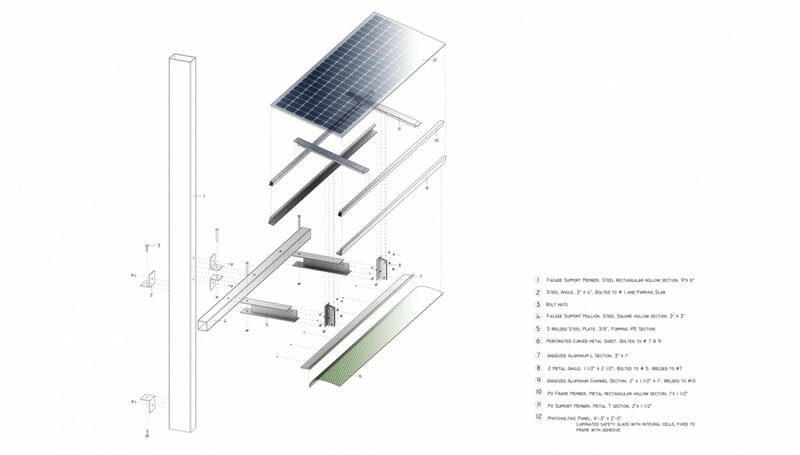 This strategy allows for a high level of solar radiation harvesting while providing day lighting for the top deck of the parking structure.